A 1940s apartment complex on St Kilda Road has been purchased by Singapore-listed developer and builder Lian Beng for $25 million, according to The Australian Financial Review. 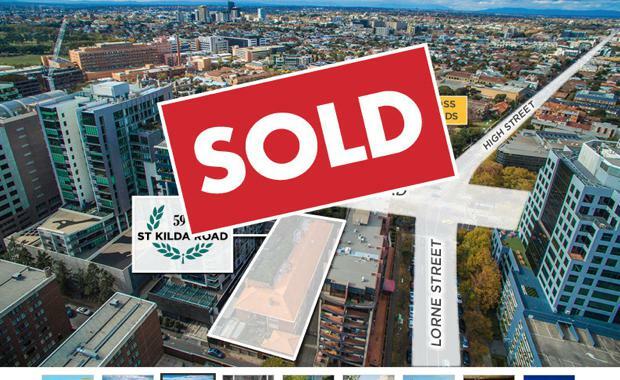 The sale of the 1,800sqm site at 596 St Kilda Road was negotiated by CBRE'S Mark Wizel, Josh Rutman and Kiran Pillai. The vendors were the 19 owners of the apartment complex, which banded together for the sale of the land holding. The property, which is surrounded by major apartment high rises, boasts street frontages to St Kilda Road and Queens Lane. 596 St Kilda Road offered one of the last development opportunities on St Kilda Road, with the possibility for a new high rise apartment tower, subject to council approval.